I have to admit, it took me a long time to figure out what the heck "Etsy" meant. What a name right? "Etsy" What does it mean? Are they initials? Is it a new exotic food, a new moisturizer? 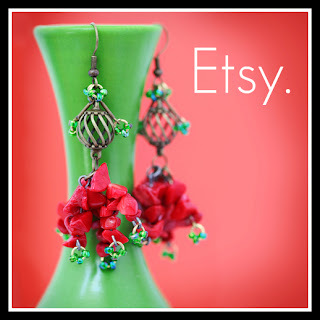 After much curiosity and seeing blog designs offering Etsy Shop backgrounds I decided to check out this "Etsy" craze. I am now an Etsy customer and Etsy addict,(even the name Etsy is addicting) Because if you are a creative buff like myself and love to shop and love to see other peoples creative talents, not to mention great prices (and did I also mention shopping?) than you too will love all the uniqueness of Etsy. And if you are a crafter, a creator, a get your hands dirty, draw, model, sew, build, DREAM then you too will love Etsy and may even turn to them for help getting your business launched. Like all new business ventures, getting started is the hard part, so I hope to provide great articles like this one form helpful sites like WAHM (work at home moms). This one focuses on getting started with Etsy and how you can succeed if you have a skill, hobby or trade you just can't wait to promote. Good luck with your business venture and if you use Etsy regularly please feel free to leave me a comment. I would love to hear from you. I dont have my own Etsy store - but I know a number of women who do. It does seem like a great way to market your crafts. Hi Mary! I just recently found your blog and am reading back through older posts. I live in the Steele Creek area and opened my Etsy shop last fall- www.plumfieldshop.etsy.com. 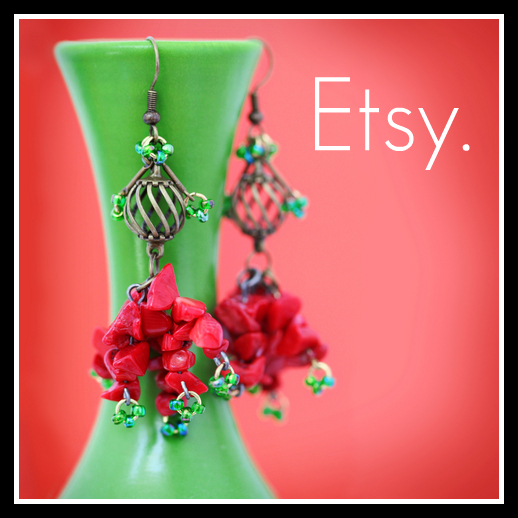 I love Etsy and think it has been a great tool in growing my business!